The name is in recognition of the unprecedented donation by the philanthropist and financier. In April 2015, Paul Marshall donated £30m to LSE for the creation of The Marshall Institute for Philanthropy and Social Entrepreneurship, set to become a leading centre for innovation and expertise in philanthropy and social entrepreneurship. The gift is the largest private donation in LSE’s history, and includes £20m for the redevelopment of 44 Lincoln’s Inn Fields. The Marshall Institute, which will be located in the Paul Marshall Building, will provide teaching –including a master’s programme – research, and a collaborative forum to enable current and future leaders in philanthropy and social entrepreneurship to increase the impact and effectiveness of private contributions to the public good. LSE made the announcement as it launched an international design competition for the redevelopment of the site purchased from Cancer Research UK in 2013. The School is once again working with the Royal Institute of British Architects (RIBA) to run the competition, and has invited expressions of interest from architects. Following a similar competition in 2009, the award-winning architects O’Donnell + Tuomey were selected to design the Saw Swee Hock Student Centre, shortlisted for the RIBA Stirling Prize in 2014. Likewise, after a competitive process in 2013 LSE selected Rogers Stirk Harbour + Partners for its major Centre Buildings redevelopment, which is already underway. In its invitation to architects and designers LSE has indicated it is looking for a design which will be environmentally sustainable, provide innovative teaching and research workspaces, enhance the public space around Lincoln’s Inn Fields, and inspire future generations of students and academics. 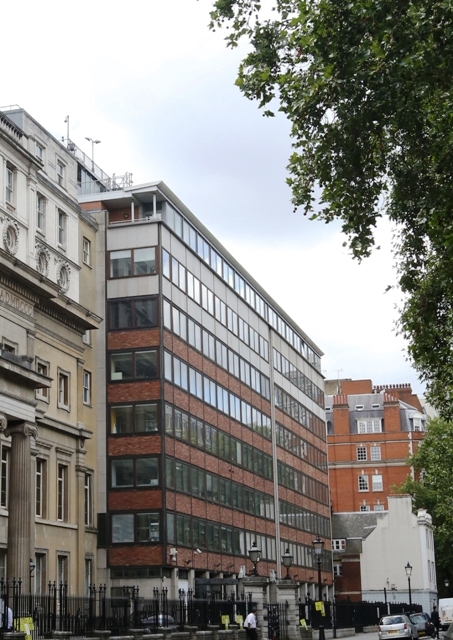 In addition to the Marshall Institute, the redeveloped Paul Marshall Building will also host LSE academic departments, research centres and sports facilities. Paul Marshall is chairman and chief investment officer of Marshall Wace LLP, one of Europe’s leading hedge fund groups. Paul is also a founding trustee of ARK, the children’s charity, and chairman of ARK Schools, one of Britain’s largest academy chains.